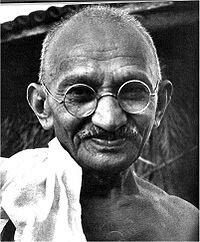 Mohandas K. Gandhi was born in 1869, in Porbandar, India. Mohandas was from the social cast of tradesmen. His mother was illiterate, but her common sense and religious devotion had a lasting impact on Gandhi’s character. As a youngster, Mohandas was a good student, but the shy young boy displayed no signs of leadership. On the death of his father, Mohandas travelled to England to gain a degree in law. 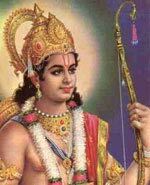 He became involved with the Vegetarian Society and was once asked to translate the Hindu Bhagavad Gita. 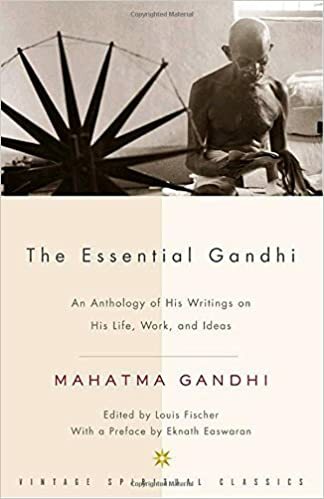 This classic of Hindu literature awakened in Gandhi a sense of pride in the Indian scriptures, of which the Gita was the pearl. Around this time, he also studied the Bible and was struck by the teachings of Jesus Christ – especially the emphasis on humility and forgiveness. He remained committed to the Bible and Bhagavad Gita throughout his life, though he was critical of aspects of both religions. On completing his degree in Law, Gandhi returned to India, where he was soon sent to South Africa to practise law. In South Africa, Gandhi was struck by the level of racial discrimination and injustice often experienced by Indians. It was in South Africa that Gandhi first experimented with campaigns of civil disobedience and protest; he called his non-violent protests satyagraha. Despite being imprisoned for short periods of time, he also supported the British under certain conditions. He was decorated by the British for his efforts during the Boer War and Zulu rebellion. After 21 years in South Africa, Gandhi returned to India in 1915. He became the leader of the Indian nationalist movement campaigning for home rule or Swaraj. Gandhi successfully instigated a series of non-violent protest. This included national strikes for one or two days. The British sought to ban opposition, but the nature of non-violent protest and strikes made it difficult to counter. Gandhi also encouraged his followers to practise inner discipline to get ready for independence. Gandhi said the Indians had to prove they were deserving of independence. This is in contrast to independence leaders such as Aurobindo Ghose, who argued that Indian independence was not about whether India would offer better or worse government, but that it was the right for India to have self-government. 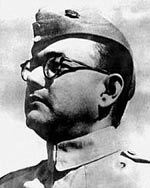 Gandhi also clashed with others in the Indian independence movement such as Subhas Chandra Bose who advocated direct action to overthrow the British. 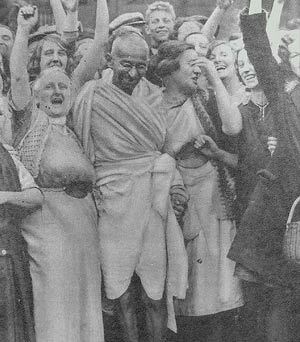 Gandhi frequently called off strikes and non-violent protest if he heard people were rioting or violence was involved. In 1930, Gandhi led a famous march to the sea in protest at the new Salt Acts. In the sea, they made their own salt, in violation of British regulations. Many hundreds were arrested and Indian jails were full of Indian independence followers. However, whilst the campaign was at its peak some Indian protesters killed some British civilians, and as a result, Gandhi called off the independence movement saying that India was not ready. This broke the heart of many Indians committed to independence. It led to radicals like Bhagat Singh carrying on the campaign for independence, which was particularly strong in Bengal. After the war, Britain indicated that they would give India independence. However, with the support of the Muslims led by Jinnah, the British planned to partition India into two: India and Pakistan. Ideologically Gandhi was opposed to partition. He worked vigorously to show that Muslims and Hindus could live together peacefully. At his prayer meetings, Muslim prayers were read out alongside Hindu and Christian prayers. However, Gandhi agreed to the partition and spent the day of Independence in prayer mourning the partition. Even Gandhi’s fasts and appeals were insufficient to prevent the wave of sectarian violence and killing that followed the partition. Away from the politics of Indian independence, Gandhi was harshly critical of the Hindu Caste system. In particular, he inveighed against the ‘untouchable’ caste, who were treated abysmally by society. He launched many campaigns to change the status of untouchables. Although his campaigns were met with much resistance, they did go a long way to changing century-old prejudices. At the age of 78, Gandhi undertook another fast to try and prevent the sectarian killing. After 5 days, the leaders agreed to stop killing. But ten days later Gandhi was shot dead by a Hindu Brahmin opposed to Gandhi’s support for Muslims and the untouchables. Gandhi was a seeker of the truth. Gandhi said his great aim in life was to have a vision of God. He sought to worship God and promote religious understanding. He sought inspiration from many different religions: Jainism, Islam, Christianity, Hinduism, Buddhism and incorporated them into his own philosophy. On several occasions, he used religious practices and fasting as part of his political approach. Gandhi felt that personal example could influence public opinion. Citation: Pettinger, Tejvan. “Biography of Mahatma Gandhi”, Oxford, UK. www.biographyonline.net 12th Jan 2011. Last updated 1 March 2018. Indian men and women involved in the Independence Movement. He stood out in his time in history. Non violence as he practised it was part of his spiritual learning usedvas a political tool. How can one say he wasn’t a good lawyer or he wasn’t a good leader when he had such a following and he was part of the negotiations thar brought about Indian Independance? mahatma gandhi was a good person but he wasn’t all good because when he freed the indian empire the partition grew between the muslims and they fought .this didn’t happen much when the british empire was in control because muslims and hindus had a common enemy to unite against. I am not saying the british empire was a good thing. Dear very nice information Gandhi ji always inspired us thanks a lot. Gandhi was a lawyer who did not make a good impression as a lawyer. His success and influence was mediocre in law religion and politics. He rose to prominence by chance. He was neither a good lawyer or a leader circumstances conspired at a time in history for him to stand out as an astute leader both in South Africa and in India. The British were unable to control the tidal wave of independence in all the countries they ruled at that time. 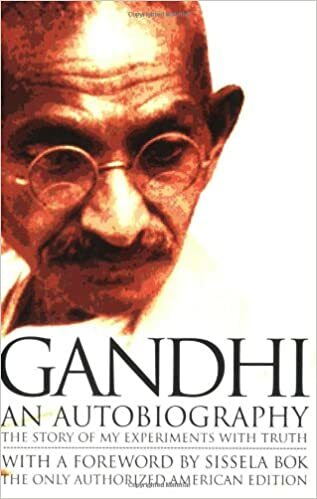 Gandhi was astute enough to seize the opportunity and used non violence as a tool which had no teeth but caused sufficient concern for the British to negotiate and hand over territories which they had milked dry. By being “astute enough to seize the opportunity” and not being pushed down/ defeated by an Empire, would you agree this is actually the reason why Gandhi made a good impression as a leader? Also, despite his mediocre success and influence as you mentioned, would you agree the outcome of his accomplishments are clearly a demonstration he actually was relevant to law, religion and politics?